A larger leaf, similar to that of 'Shirasawanum Aureum' but lovely fresh green against a dark stem. 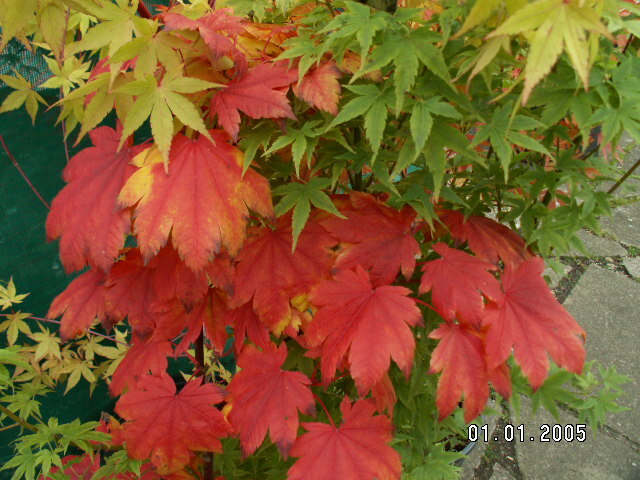 It is famous for having one of the brightest of autumn foliage with reds, golds and greens. Grows 5-6' in 10-12 years, a good strong multi branched shaped tree.